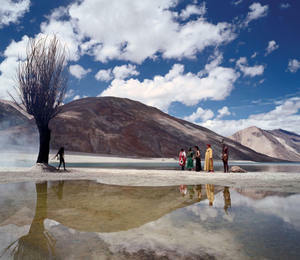 The Fall by Tarsem is the best modern film I have seen. It's up there with Fellini's Satyricon and Sargasso Manuscript. The intensity and visual stimulation are mind-blowing. And the story is both mundane and fantastical. It's like the Wizard of Oz. A journey. An adventure and rehabilitation. Although released 2 years ago internationally, it's just been released in the US. Go see it.